Víctor Estrada studied classical guitar, music theory and harmony in the Conservatorio del Liceo of Barcelona, Spain. In the eighties he founded the symphonic rock group Erin, and from that moment on he has performed and recorded with many musical groups deserving special mention his collaboration with the celebrated symphonic rock group Amarok. As a composer, he had premiered a lot of works and published two albums Lo divino en lo grosero (2001) and Continuo despertar (2003). but it wasn’t until 2004, in the interner era, when he could find out the world of this instrument and get in touch with some of the most acclaimed instrumentalists. 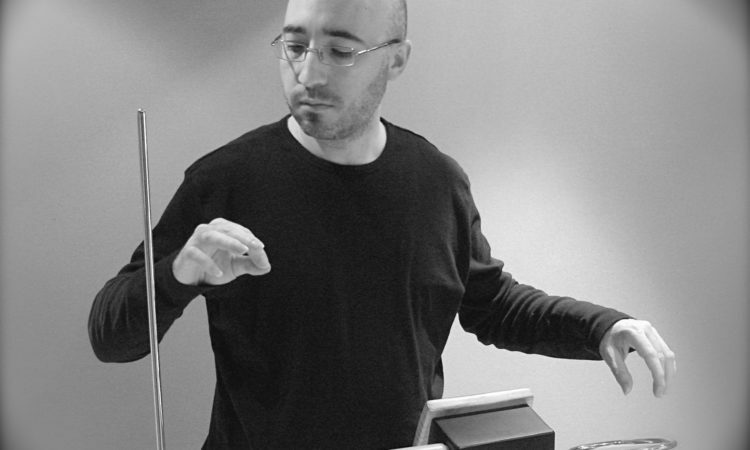 He has created the first spanish publication dedicated to the divulgation of the theremin called Guía de introducción al theremin and is a regular contributor of Theremin Hispano (an important theremin web page ). He has written about the theremin in musical reviews and blogs and he has introduced it in radio and television. 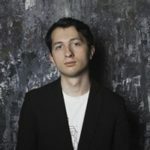 He has played the theremin with the OBC orquestra in the Auditorio of Barcelona and with the singers Coshida and El hermano de la vila, the groups Amarok, Parthenon and Acthe. He has also played in different plays and in many recording collaborations. At the present he has his own group with the theremin called “Cos Elèctric”. Mainly the captivating sound of this instrument, that mixture of electronic and organic instrument impressed me very much. I took the decision of starting to study the instrument because I listened to Lydia Kavina and Clara Rockmore, at that time I realised of the great expressive potential of the instrument. Wath were your first feelings when you heard the sounds of theremin and where did it happen? Like many people, I knew the theremin thanks to the old Sci-Fi and horror films but I could listen to it again thanks to the publications of “Moog music” on VHS and DVD, this time in a musical level that convinced me more. As a composer, I feel inspired by many styles: Classical music, soundtracks, rock, electronic music, etc. I think that the theremin fits in any musical style. The matter is to use the appropriate performing techniques for each style. Nowadays the number of performers is increasing, but maybe there’s a lack of composers that write music for theremin in an appropriate way. What I want to say is that the theremin shouldn’t be treated like a voice or a violin, on the contrary, its unique characteristics should be taken advantage of by creating an exclusive repertoire for it. Many of the pieces that Lydia Kavina and Barbara Buchholz play go through this good path. I’m very happy with the model Etherwave Pro. I haven’t had the chance to try theremins of that level from other brands, that’s why I cannot show my opinion in that aspect. 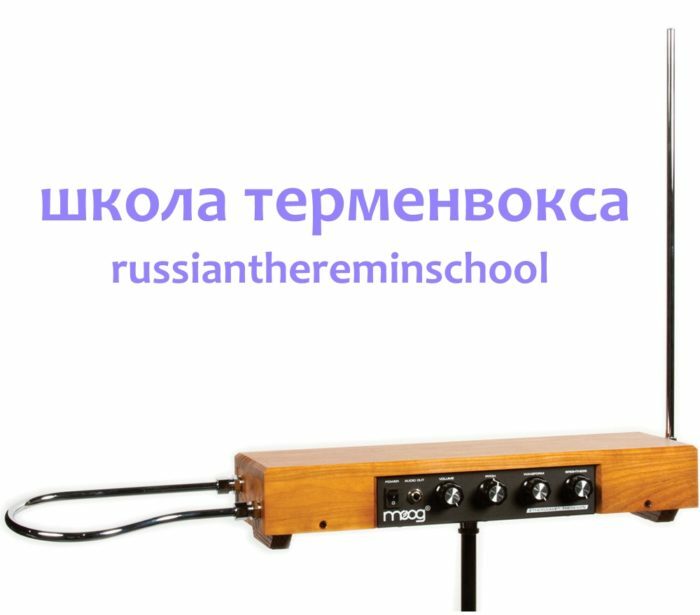 I think that Moog Music (or other brands) should begin to manufacture theremins of that quality to help to develop the world of theremin. First, to be able to value the theremin for its musical properties and not the visuals. If not the person will get bored of the theremin. The second piece of advice I give, is that the theremin should be treated with respect: it’s an instrument that can arrive to express itself musically as any other instrument in an orchestra, it’s not a toy, thus it should be studied with seriousness and discipline. The third piece of advice is to start to look for a good theremin teacher, Due to that learning alone could drag many mechanic problems. I know that why I say is not easy to follow but it should be. If the beginner is already a musician it’ll always be better to begin from zero.